In preparation for my September wedding celebration party I am making a new dress, which is currently under construction. 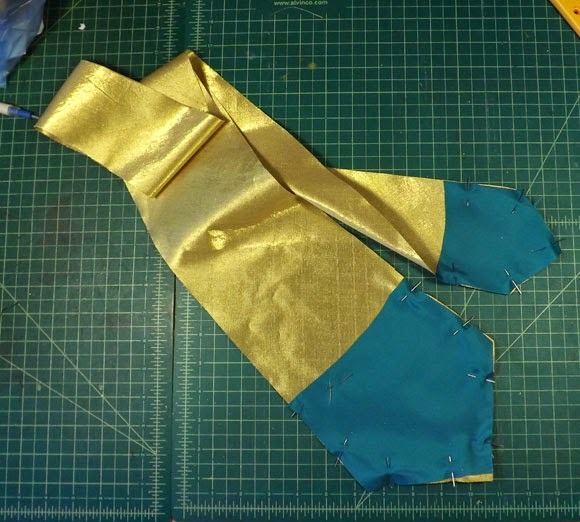 Since I'm making a new dress, Alec will get a new, matching tie and here's the process of making that tie. 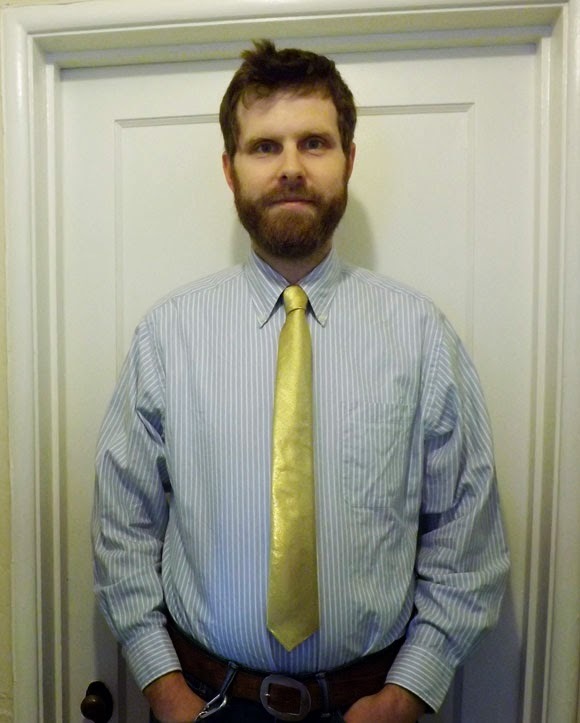 I do have a commercial pattern for making a tie, but I found that it's pretty easy to just buy a thrift store tie and rip it apart. Plus I can use the interlining material instead of buying a yard of it when it's rare that I need this type of interlining. First I ripped the seams open on my thrift store tie. 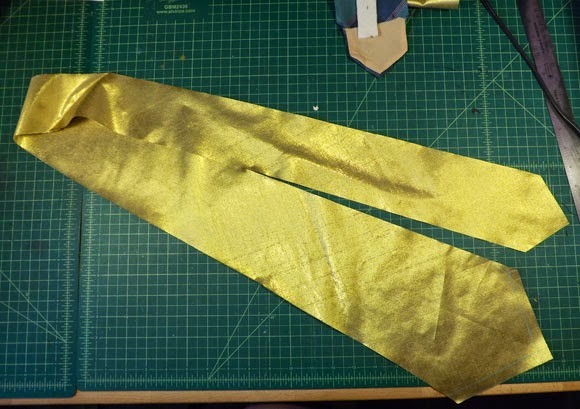 I then cut out the correct shape on the bias of my gold fabric. There is a seam halfway through the tie. 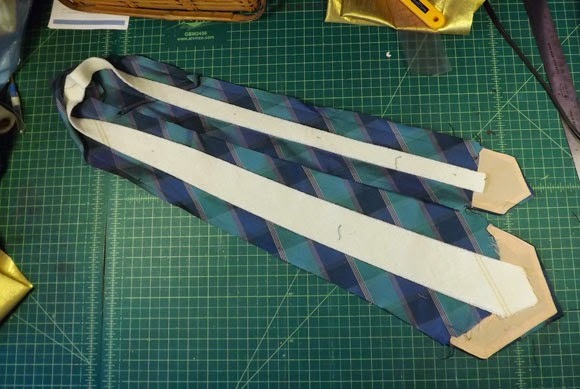 I don't know the history of ties but I'm assuming this is just so that you don't have to waste too much fabric since cutting on the bias takes a lot of fabric. The ends of the tie need a separate lining fabric, I just used some teal satin that I had leftover from another project. 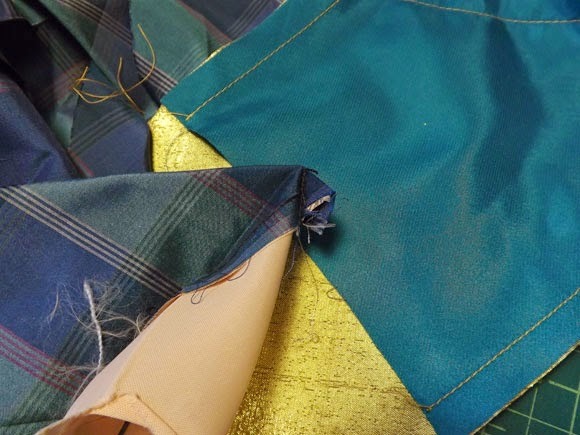 To make sure the the lining is hidden at the tip, sew the corner before you attach the lining. Since I wasn't following a pattern I didn't completely understand this step so I had to sew the lining twice, but I got it in the end. Turn the lining towards the inside and press out the points of the tie. 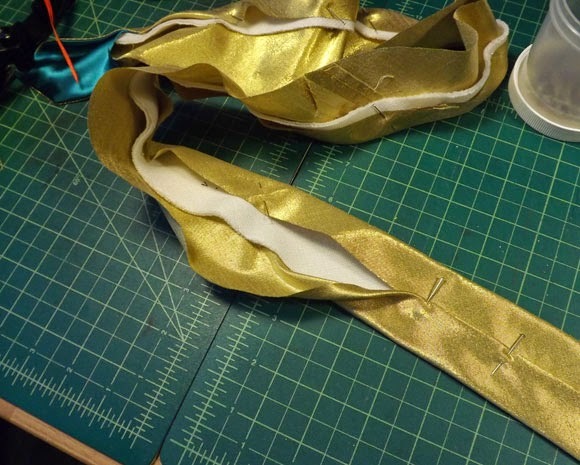 Then place the interlining in the center of the tie, fold over the edges, with the top have a double fold to create a clean connection. 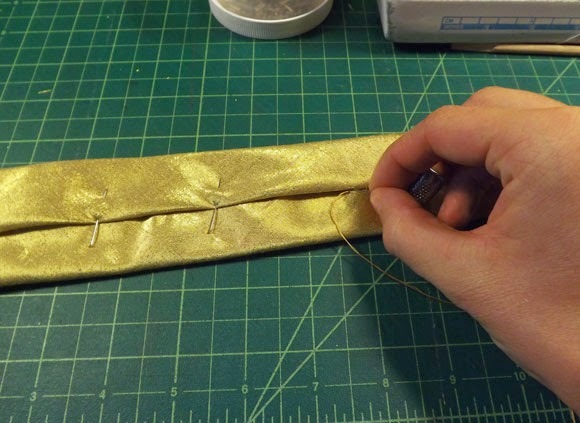 Pin then sew the tie closed by hand.